FOCUS IRELAND HAS launched an online campaign calling for the government to take urgent action to ensure no one over the age of 65 is homeless. The latest figures from the Department of Housing show that there were 119 people over 65 years old living in emergency accommodation in February 2018, a 40% increase on the February 2016 figure of 85. Focus Ireland has said it is shameful that there are elderly people in this age group who are homeless and that they can also face additional problems including poor health, isolation and shame. The charity said that there should be a series of specific actions put in place to adopt the target of eliminating homelessness among older people. That includes, according to Focus Ireland, requesting each regional authority to prepare a report on the level and causes of older people’s homelessness in their area, including the level of rough sleeping. It is also requesting that each regional authority establishes an “Older Person Homeless Action Team”, involving local authorities, the HSE, and relevant NGOs, to prepare dedicated support plans for each older homeless person. Older homeless people should also have their own dedicated key worker, according to Focus Ireland. “It is shameful for our government and society that we have seen a 40% rise in the number of people over 65 who are homeless. Every man, woman and child should have a place they can call home, and the housing and homeless crisis is hitting the most vulnerable people throughout our society,” Focus Ireland’s director of advocacy Mike Allen said. It is totally wrong and unacceptable to see older people, many of whom have worked all their lives and now find themselves without a home at that particularly vulnerable age when they need a sense of security in their own home. “The scale of the homelessness among our older people is small enough – and the impact of it is so damaging – that it should be a realistic priority for the government to eliminate older people’s homelessness, as a first step to tackling the overall problem,” he said. Focus Ireland’s campaign calling for the government to take action to ensure no person over the age of 65 is homeless can be found here. 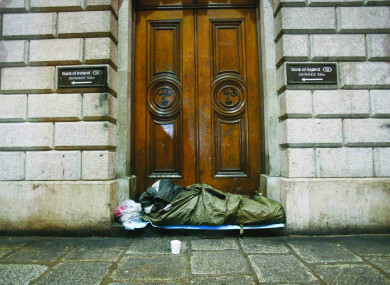 Email “'It's shameful': Focus Ireland calls for urgent action to support elderly homeless people”. Feedback on “'It's shameful': Focus Ireland calls for urgent action to support elderly homeless people”.